This week’s topic is a very popular one. I personally do not drink it but I understand the craving for those that do. Sometimes we all need that extra little kick of caffeine to get going. 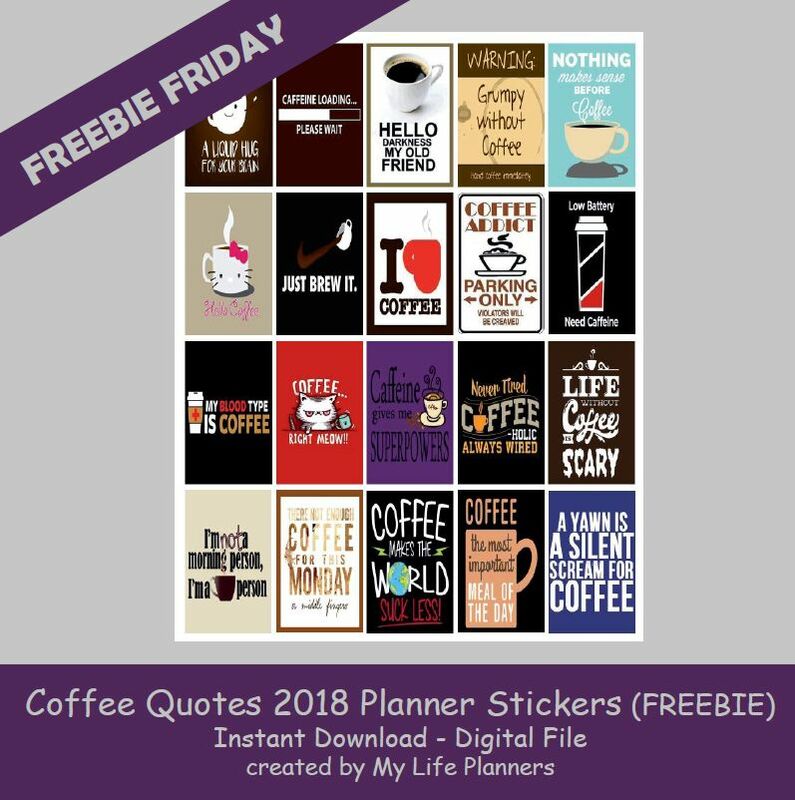 In honor of National Coffee Day on September 29, 2018 this week’s Freebie Friday feature is Coffee Quotes. Time to WAKE UP and jump start your planners. In case you missed Coffee Quotes 2016 Planner Stickers you can revisit and download them from here.